Herbert, third son of Thomas Wright & Emily Jane (nee Hines) Lord, was born at Geraldine on 10 June 1891. He was educated at Geraldine Primary and High School and upon leaving, worked as a labourer for the Geraldine Road Board. 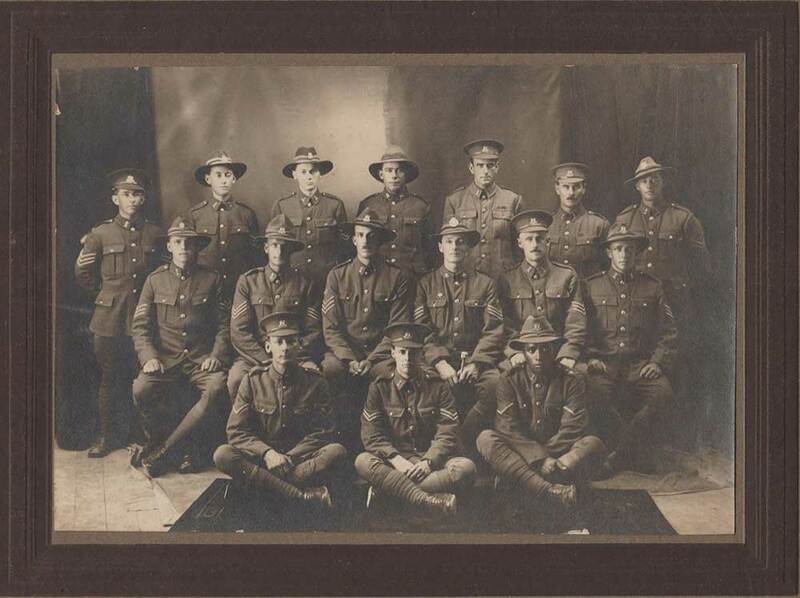 Serving part time as a Territorial with the 2nd South Canterbury Regiment, Herbert enlisted at Timaru on 14 August 1914, with the Canterbury Infantry Battalion. His enlistment file described him as being single, aged 23, a Presbyterian, 5 foot 11½ inches tall, having a fair complexion, dark hair, grey eyes, chest measuring 36 inches and having upper false teeth, the lower being good. He nominated his father, Thomas Wright Lord, of Talbot Street, Geraldine, as his next of kin. After training, he left from Lyttelton with his battalion on 16 October 1914, aboard either the SS Tahiti or Athenic for Suez, Egypt. Herbert embarked for the Dardanelles on 12 April 1915 where, on 25 April after landing and attacking the heights at Gaba Tepe, he received a gunshot wound to his left arm. Following treatment in Cairo, he was returned to New Zealand aboard the SS Willochra on 15 July 1915, and sent on extended sick leave to his home in Geraldine. A later medical board in Timaru resulted in him being discharged as unfit for further service on 18 April 1916. Employment as a carter must have improved his physical well-being as he again enlisted on 14 November 1916. This time he gave Miss Annie McIntosh Turner, a friend in Geraldine, as his next of kin. This was the girl, who, in 1919, he was to marry in Timaru. He joined the 2nd Canterbury Infantry Regiment, C Company, where he rose quickly through the ranks and left Wellington on 26 April 1917, with the 25th Reinforcements, with the rank of Quartermaster Sergeant. This time he was bound for Devonport, England, aboard the SS Turakina. During training in England, he reverted back to Sergeant, then to Private before landing in France 14 February 1918. Ending the war again with the rank of Corporal, he returned to New Zealand on the SS Athenic, arriving home 21 March 1919. Discharge from the army followed on 18 April 1919, three years to the day from his first discharge. For all his service, Herbert was awarded the 1914-1915 Star, British War Medal and Victory Medal. In later years, he was presented with the Gallipoli Medallion. Herbert stayed working in the Geraldine area for some years, before taking up employment with the NZ Railways Department in Christchurch and Blenheim, before returning to Geraldine in the late 1960’s, after his wife died. He passed away in Geraldine on 15 January 1979, at age 87, and was buried with his wife in the Omaka Lawn Cemetery, Blenheim. Auckland Museum Cenotaph database (June 2015); Archives NZ (Personnel File), ancestry.com.au; NZBDM Historical Records; NZSG Index V5; Marlborough District Council cemeteries database.